Hanoi (VNA) – The Singaporean Government on August 11 forecasted the country’s economy is likely to grow at 2.5 percent in 2017 after a better-than-expected performance in the second quarter. The Ministry of Trade and Industry (MIT) revised gross domestic product (GDP) for the whole year to 2-3 percent from the previous prediction of 1-3 percent. 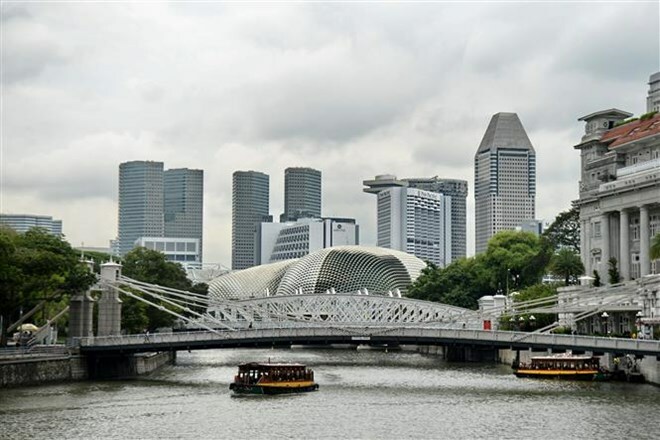 The latest data of MIT showed that Singapore’s economy grew by 2.9 percent in the second quarter, higher than the growth of 2.5 percent in the previous quarter. The ministry said the Singaporean economy achieved a GDP growth rate of 2.7 percent in the first half of the year due to the recovery of the manufacturing sector, and forecasted this year’s growth will reach around 2.5 percent.